It all looks too good to be true! The Turing HubblePhone, which fluttered into my inbox recently, has a futuristic look, an exciting form factor and not one, but two, previously unheard of Snapdragon processors. There are also five camera sensors, a flexible display, and so on and so forth. If it sounds too good to be true, it usually is, and that’s the problem here - it isn’t true. You have heard of the Snapdragon 855, right? No, you don't know it? Well, that’s because it doesn't exist yet. The HubblePhone will, nevertheless, have two of them on board, merged with the company's unique ‘fusion technology’. Uh-huh. Add to that 5G connectivity, five camera sensors, a 4K display and much more. For the operating system, Turing is not satisfied with boring old Android. Only Keplerian OS is good enough - a largely unknown Linux distribution. The HubblePhone K3-XR has been in development as the "Cadenza" since 2016 and will be four devices in one: A Multi-screen smartphone, 5G phone, professional movie camera with a video editor and a mobile games console. Turing even names prices and dates. The miracle device will cost $2,749 and enter the market in 2020. A June release is set for the USA, an August release in Europe, September in China and December for the rest of the world. Damn! Not all smartphone fans will know the manufacturer, but some will. The name Turing was last featured in the media about two months ago when insolvency proceedings were opened against the company. Of course, the picture is not so bad, according to CEO Steve Chao. Certainly, no one is bankrupt, but merely experiencing short-term difficulties. But Turing's achievements so far in the smartphone space do not necessarily give us hope for improvement. The first fully-announced Turing smartphone should have appeared in 2015 as a particularly secure and encrypted device. There was also a price. Then the launch was postponed, postponed again and, finally, it disappeared and nothing more was heard about it. Second smartphone, same game, this time with concierge service instead of encryption. Talk it up again, put expensive price tags on it, and never deliver. This trick has also been used by other companies such as Saygus with the V2, but nobody pulls the hoax as consistently and transparently, without success, as Turing. 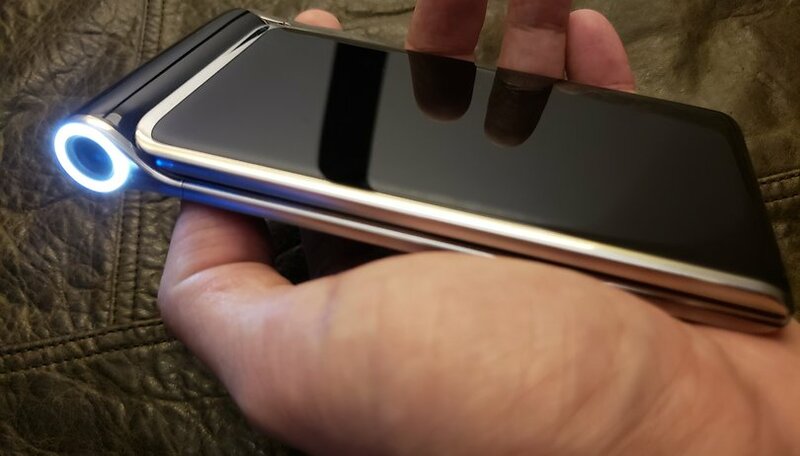 The HubblePhone will suffer exactly the same fate as the two previous Turing smartphones: It will never come to market. The company can announce as many dates and prices as it likes, but if the HubblePhone ever goes on sale in the form in which it is announced now, I'll eat my hat. The HubblePhone will never go on sale to the public. Don't get me wrong, I love it when companies come around the corner with ideas for products that, at first glance, seem kind of bizarre but exciting. This brings a lot of fresh ideas and creativity to the market. With Turing, however, I finally have the feeling that there is nothing but hot air behind these innovations. You can name as many dates and prices as you like but if, after all of the announcements, nothing ever comes out, it's no more than a joke, and not even a funny one. What do you think of Turing's new HubblePhone ideas? nice phone for people who have that kind of money to splash on a phone like such! That is a neat phone that I would never want to own for several reasons. The main ones are battery life will be dismal with that much display area, and it will be fragile.